The University of Tsukuba invites applications from international students for the 2011 University of Tsukuba “Tsukuba Scholarship” as per the guidelines outlined below. The University of Tsukuba offers programs through which international students studying at the University of Tsukuba at the undergraduate level can earn their academic degrees by taking classes only in English (hereinafter referred to as “Degree Programs in English”). The purpose of this scholarship is to provide financial support for exceptional international students who are applying to enter the Degree Programs in English at the undergraduate level, thereby contributing to the cultivation of people who can make future contributions to international society. (3) Applicants who, upon entering the University of Tsukuba, do not receive nor expect to receive a scholarship or scholarships from any other scholarship-granting organizations or bodies for the purpose of studying abroad. The duration of the scholarship will be from the first month of entering the university until the end of the applicable academic year (August 2011 to March 2012). From April 2012, students may apply for other scholarships from the University of Tsukuba or from other scholarship-granting organizations or bodies. (1) Travel expenses: The scholarship will pay a uniform amount of 100,000 yen for travel expenses to Japan from abroad when entering the University of Tsukuba. However, this travel expense payment is limited to those recipients who will be newly coming to Japan from abroad for the purposes of entering the University of Tsukuba. This amount will be transferred to recipients? bank account along with their first scholarship after they have joined the University. (2) Monthly stipend: Scholarship recipients will receive one of the following monthly stipends based on their results in the entrance examination etc. (3) Admission fee and first-year tuition exemptions: In addition to the above noted travel expenses and monthly stipend, scholarship recipients will receive exemptions from paying their admission fee (a one-time only fee of 282,000 yen) and their first-year tuition (from August 2011 to March 2012, 357,200 yen), for a total of 639,200 yen. In the academic year 2011-12, the following number of scholarships will be offered for a total of three programs as indicated in 2 (2) above. 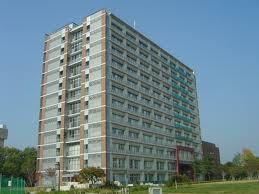 Applicants for this scholarship should send the “2011 University of Tsukuba „Tsukuba Scholarship? Application Form” (see Item 6) by either postal mail or e-mail to the following address during the application period of the Degree Program in English of their choice. Please note that application documentation arriving later than the prescribed application period will not be accepted. Scholarship recipients will be selected based on a comprehensive assessment of their application documentation, the results of their interview (in cases where interviews are conducted for university admission), and the content of their scholarship applications. Results of the scholarship selection will be sent to all applicants together with the notice of their entrance examination results. Please note that applications for the 2011 Tsukuba Scholarship submitted will be used only for the selection of scholarship recipients, not for admissions to the applicants respective Degree Programs in English. Scholarship recipients are expected to fully understand the educational purpose of the Degree Program in English that is conducted in their affiliated undergraduate school. Furthermore, it is expected that scholarship recipients consistently display leadership skills in educational activities undertaken with other students at the University of Tsukuba as well as any other activities. (1) If the scholarship recipient has falsified any part of the application documentation. (2) If the scholarship recipient takes a leave of absence, withdraws or is expelled from his/her program of study because of disciplinary measures. (3) If the scholarship recipient has displayed behavior in his/her studies or lifestyle that is deemed unsuitable. Note: Any enquiries regarding the entrance examination of the Degree Programs in English should be directed to the Division of Admissions, Department of Educational Promotion. Demikianlah artikel mengenai Tsukuba Scholarship, University of Tsukuba, Japan Semoga Bermanfaat Bagi Anda.